Wheelchairs come in different size, shapes and varieties to suite the needs and requirements of users. Each patient will have varying levels of functionality. 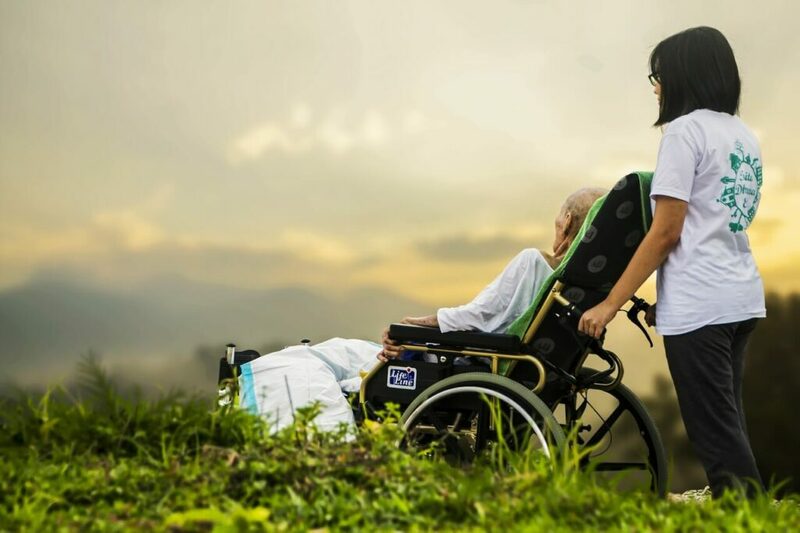 A patient that suffers from rheumatoid arthritis requires a different wheelchair and may not need all the features as someone who suffers from quadriplegia. Getting out and about is no longer a pipe dream to anyone who may be of limited mobility. With just a little bit of planning and understanding of what’s available to wheelchair patients, experiencing all that this wonderful world has to offer is within our grasp. With age the prevalence of injury or disability increases. Use of a wheelchair can help maintain independence, mobility and quality of life. Many people may think of a wheelchair just as a seat with wheels to get pushed around. That couldn’t be far from the truth. Manual wheelchairs can be manipulated by the user or by a caretaker or even tilt and recline for those who need pressure relief. Power chairs are run by rechargeable batteries and can make the user extremely mobile. Understanding what your needs are can help you select the right wheelchair for you. A standard or manual wheelchair is probably the most familiar to everyone. Pushed or wheeled by hand by the user, they are manually manipulated and can often be incredibly portable since many can be folded and transported to where they may be needed. To maximize the benefit of their portability, many models are made of lightweight materials to minimize weight. They feature a foot/leg rest as well as armrests that can come in desk length or full-length allowing them to be customized to the user’s needs. Their seating options usually range from 16-20 inches to accommodate a wide variety of body types. Some wheelchairs have multiple seat widths, seat-to-floor heights and arm styles. You can also opt for narrow, which is usually no more than 16 inches. With permanent arms and a seating option up to 20 inches some wheelchairs provides safe reliable transportation with a weight limit of 250 pounds. Many people feel that due to their injury or handicap that this lack of mobility means that they cannot travel. Lightweight wheelchairs are perfect for those who like to travel. They offer many of the same options as the basic or standard wheelchair, but some offer a removable wheel option as well as an adjustable back. This allows the wheelchair to be stored in a trunk or maybe even a backseat depending on the vehicle being used. This gives patients the freedom to be mobile and independent. For convenience and flexibility, these wheelchairs provide height adjustable armrests, which are removable. For those that might be looking for a little bit more performance in their wheelchair lightweight manual wheelchair provides stability to meet each user skill level. Its dual axle positioning allows for different seat to floor heights as well as an offset axle position for an adjustable center of gravity to increase maneuverability and stability. Sometimes due to a medical condition, patients require a wider chair that needs to support greater weight. The added width and strength of a bariatric wheelchair allows for a better fit and safety for larger patients. While most wheelchairs can safely support approximately 300 pounds, a bariatric wheelchair can handle heavier patients. Bariatric Manual Wheelchair can have a maximum weight capacity of 700 pounds as well as proven mobility and stability. For a chair that is designed for the active individual, the bariatric wheelchairs provide the strength needed while still providing streamlined books. Much like other chairs, bariatric wheelchairs are available to the public in both manual and powered versions. These chairs allow bariatric patients freedom and independence they would normally have lost. Transport wheelchairs are built for transport and not self propulsion, therefore requiring a caregiver. Typically they offer a 12 inch rear wheel that is not designed for the user to reach down and propel them forward. Many offer hand brakes so the caretaker can have greater control and may have a folding back for easier storage. Transport wheelchairs may not have as many options available as others and seating options are limited. They are perfect for safe comfortable patient transport. One feature that can be important to some users is the ability to recline. This allows the user or caretaker to avoid pressure sores and can provide comfort. A versatile, lightweight reclining wheelchair can come with triple chrome plated, carbon steel frame provides strength and durability as well as improved maneuverability and stability. For someone who might be looking for a wheelchair that can recline to a full 180°, they should go for a reclining wheelchair that has urethane rear tires mounted on dual sealed precision bearings for a smooth comfortable ride and is available with multiple seat widths, arm styles as well as front riggings. Power chairs and scooters are powered by rechargeable batteries and can be used by just about anyone who has some form of hand/arm control. Even those affected by quadriplegia can use a power chair as long as they are able to move their head. For simpler handling, power chairs have a tight turning radius which is perfect for in-home use. No matter what physical challenge you may face, there is no reason to sit put. With many adaptable options available, your physical therapist may opt for a curved back for added trunk stability or maybe leg extensions to allow the user passive range of motion as well as minimizing pressure points on susceptible areas of the foot. Some power wheelchairs options include rear wheel or center wheel drive, chairs that can stand up the user, portable power chairs for travel, or even chairs that fold up. The many wheelchair options available to patients today can allow anyone to maintain their freedom to enjoy this crazy world we live in.